We know most of you that come to gfest are fans of Watchmen. But do you share the love that gfest has for Arrested Development? Few do. It was a groundbreaking and hilarious show that very few people watched. If you haven't watched it, and you enjoy laughing, do yourself a favor and go get the series here . 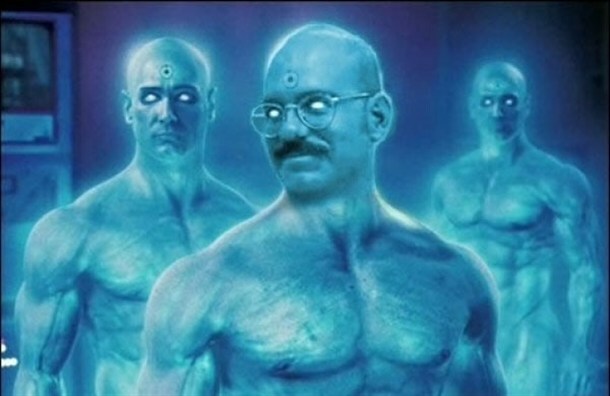 Regardless of whether you were an Arrested Development fan or not, you have to appreciate this mashup of Tobias from Arrested Development as Dr. Manhattan. But you know he's still wearing shorts. They must think they are hindus in India. This is not India.